The U.S. Department of Agriculture (USDA) tells us that women should aim for 1.5–2 cups of fruit each day, and men should stick to 2 cups. Fruit juice is an easy way to fulfill these requirements because 1 cup of juice equals 1 cup of fruit. Us busy people are lured by the myriad of delicious fruit juices on the market for a more convenient option. How can we resist juices that promise to deliver farmstand quality, with most of the same vitamins and minerals as real fruit, without the hassle? Let’s look more closely at this juice craze. Why Is Fruit Juice So Problematic? 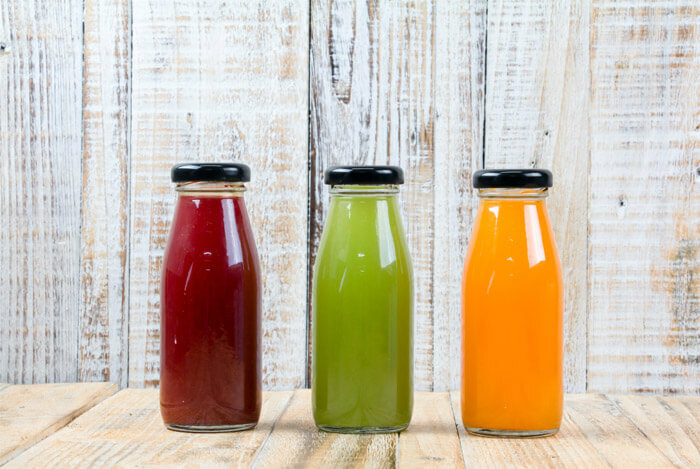 Even when you buy bottles labeled “100% juice”, you’re still not guaranteed to avoid additives, preservatives, and flavorings. See, juice companies need to pick and store as much of their fruit during the harvesting season as possible. In order to keep their juice from going bad, they have to heat the juice and remove the water so it cooks down to a concentrated syrup. When they go to package the juice, they add water and flavorings to make the juice resemble the fresh juice you think you’re buying. It saves them money and allows their juice to stay shelf-stable longer. They also have to add vitamins and minerals back in that were most likely destroyed during the cooking process. So what effect does sugary fruit juice have on our bodies? The sugar in juice will cause a short-term rise in dopamine and insulin levels. Now let’s compare an 8 oz. can of Coca Cola: 100 calories; 26 g of sugar. That same serving size of Pepsi comes in at 100 calories and 28 g of sugar. So as you can see, the sodas actually have fewer calories than all three of the juices and sometimes even less sugar! Sugar triggers our reward system, releases natural opiates to make us feel good. This isn’t a horrible thing in and of itself, but it is easy to consume too much in a short amount of time. Your blood sugar will begin to rise 10–20 minutes after you eat or drink something sugary. 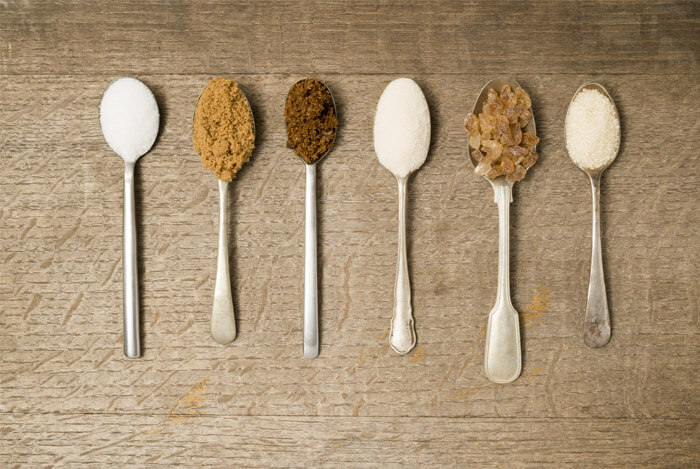 The FDA doesn’t have a recommended daily intake of sugar because it’s not considered an essential nutrient. However, the American Heart Association says men shouldn’t exceed more than 9 teaspoons of sugar (37.5 g) per day, and women should aim for less than 6 teaspoons (25 g of sugar). Those aren’t horrible averages to shoot for. All of the juices I used as examples today contain very close to 100% of your recommended daily intake of sugar. “Simple carbohydrates are broken down quickly by the body to be used as energy. Simple carbohydrates are found naturally in foods such as fruits…[and] processed and refined sugars such as candy, table sugar, syrups and soft drinks”. So when that huge amount of sugar hits your bloodstream all at once, your blood sugar levels spike and you get a burst of insulin. Whole fruit, on the other hand, contains lots of fiber. Fiber slows down the sugar’s digestion since it takes longer for the body to process. Juice isn’t bad for you, but it’s easy to drink far too many calories in a short amount of time. That’s why I typically recommend you get most of your calories from solid foods. 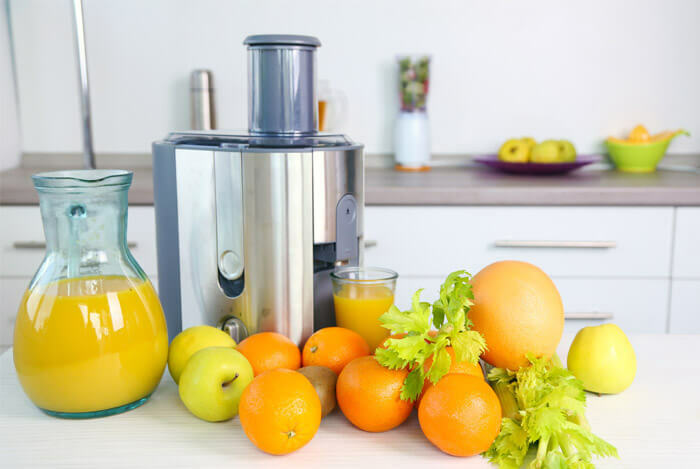 As if the mislabeling and processing of juice isn’t bad enough, research proves that fruit juice, even those fortified with vitamins and minerals, is still an inferior replacement for real, whole fruit. “Our data further endorse current recommendations on increasing whole fruits, but not fruit juice, as a measure for diabetes prevention”, says Isao Muraki, lead author and research fellow in the Department of Nutrition at Harvard School of Public Health. Plus, according to one review of over 150,000 women and 36,000 men without chronic diseases, a “greater consumption of whole fruits – especially blueberries, grapes, and apples” was “associated with a lower risk of type 2 diabetes”. If you really can’t live without a glass of juice here and there, just make sure you stay mindful of those calories. What’s your take on fruit juice? Have anything else you’d like to share? Let me know in the comments below!